A few months ago I felt a bit like an old person for the first time in my life. I noticed I was already looking back on my life’s experiences and it felt like I was telling my “old stories” over and over, like a boring old grandfather. I am still a few decades away from being a grandfather so the reason for this certainly has to do with the fact that the earlier stages of my working life had been very exciting and quite adventurous and I have slowed down quite a bit in the past couple of years. When I saw that VSA was looking for a volunteer based in Papua New Guinea, I just had to give it a try. I have always sworn to myself that I would jump “out of the ordinary” every ten years or so to do something for a “higher” purpose or motivation than just living out everyday life, only working to pay the bills. To my surprise my current employer very generously agreed to give me a whole year unpaid leave to make this adventure possible. Hopefully, in return I will be able to give something back, that my years of learning, training and work experience will help people who were born in a much poorer country, with way less opportunities than I was able to enjoy, so they can gain more knowledge themselves. Knowledge is power, after all. For me it is a sacrifice to go away and work for a whole year without a salary, but the hunt for money and career has never been a good motivator for me to get out of bed in the morning. I was born in Rosenheim, Germany. It’s a nice town on the northern edge of the alps in Bavaria. I enjoyed the mountaineering opportunities living there gave me while growing up. After school, I became an apprentice at a local TV station for camera, editing and television production. The following years I worked as a cameraman and editor for most national TV stations in Germany. 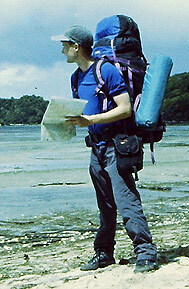 In 2000 I took ten months off to travel through New Zealand and Australia. I experienced life on a sheep farm in New Zealand and worked as a stationhand on a remote cattle station in the Australian outback. After my return I worked for several years as a freelance cameraman. My work led me all over Europe and overseas. I filmed reports about the beliefs in elfs in Iceland, filmed a German policeman in Los Angeles for a week, climbed to Mt Everest basecamp with an artist from Berlin who was producing a large panorama painting of Mt. Everest for an exhibition, and filmed a volcanologist with whom I hiked to the summit of Mt. Etna in Sicily during the eruption period in 2003. In 2004 I was offered a position for a video production on the island of Bermuda. I lived and worked in Bermuda until 2008 when I moved down to New Zealand to study for a Diploma in Visual Effects and Motion Graphics. 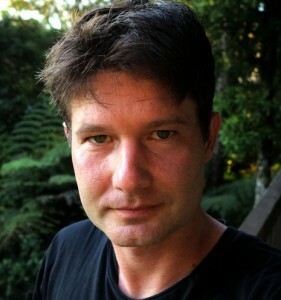 After the course I worked for a local visual effects company in Auckland for 4 years. At the end of this period the intense and long working hours in the media industry finally took their toll and I experienced a burnout. I realized I had to leave the industry and looked for an alternative career. After 10 months of unemployment I was offered a job as a licensing and complaints administrator at a government agency in Auckland. I have been there for 2 years and will continue to work there after my return from Kavieng.